Lake Buena Vista Golf Course is a classic country-club style course that winds through pastel villas, pine forests, palmettos and sparkling lakes. It has hosted the PGA Tour, the LPGA Tour and USGA events. 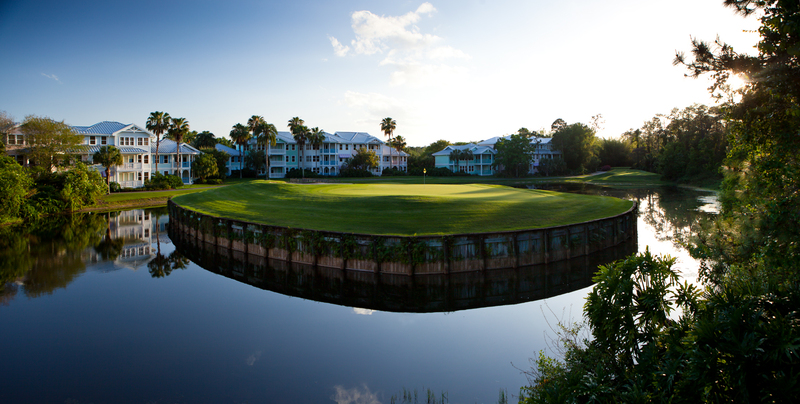 Certified by Audubon International as a Cooperative Wildlife Sanctuary and rated an impressive 4 stars by Golf Digest. Lake Buena Vista was conceived by Joe Lee and most notably features elevated bunkered greens that put a premium on accurate approach shots. Test your skills and fortitude at the demanding 7th hole with its challenging island green.